Kenneth Marcus, President Donald Trump’s nominee for assistant secretary of civil rights in the Education Department, is a controversial character. The founder of the Louis B. Brandeis Center for Human Rights Under Law, Marcus came to the attention of student activists last spring when he waded into a student discussion about whether to boycott Israel. In the wake of a fierce BDS debate at the University of Wisconsin-Madison, Marcus wrote to university administrators condemning BDS as anti-Semitic. He then calld for disciplinary measures against a black female student who spoke in favor of a university BDS resolution. According to The New York Times, she called opposition to the BDS resolution “white supremacy.”. Whether or not her words represented rhetorical overreach, they were certainly within the bounds of protected political speech. Far more disturbing than the student’s remarks were the imposition of an administrator into what was a student space. This episode alone is enough to concern students like me at the president’s nomination of Marcus to a position where he will preside over civil rights issues that affect students. Civil rights issues like free speech. Indeed, Marcus is part of a disturbing trend. In recent years, the Right in both the United States and Israel has become increasingly committed to limiting free speech. In both countries, the Right has increasingly implemented legal methods to prevent boycotts of Israel — even the limited boycotts, like boycotts of West Bank goods. From recent legislation in Wisconsin and Maryland outlawing BDS to the Israeli government’s ban on BDS supporters entering the country, Marcus is part of a growing anti-speech movement. It’s ironic, given that the namesake of Marcus’s own center for human rights, Louis Brandeis, was the author of the great Whitney v. California concurrence, an opinion that argued that even fear of violence could not justify the suppression of speech. Kenneth Marcus, on the other hand, invokes Brandeis in an ugly and transparent campaign to suppress the speech of student activists on the subject of Israel-Palestine and BDS. It’s the kind of thing that not only Palestinian students, or black students, have noticed with regret. Jewish students like me find this assault on our freedom of speech equally objectionable. This framing of campus politics came as a surprise to me, as well as other Jewish student activists I know. 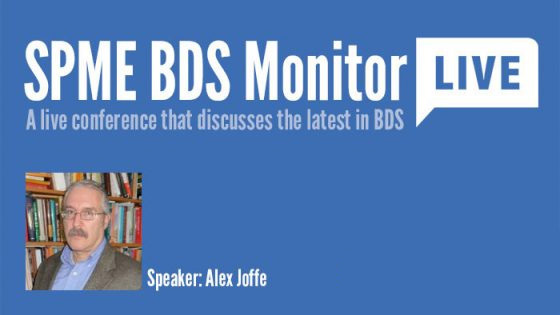 In fact, we Jewish students do not feel represented by his BDS surpression. And we Jewish activists don’t embrace Mr. Marcus’ definition of anti-Semitism or his efforts to control speech — and we shouldn’t. Those few, increasingly marginal Jewish students who approve of Marcus’s worldview and who are committed absolutely to the status quo of the Diaspora-Likud relationship tend to sit on the boards of our Hillels and Chabads, but they do not represent the majority of young Jews. We Jewish activists are the majority — the members of If Not Now, Open Hillel, Jewish Voice for Peace, and other Jewish organizations dominated by young people that aim to move the Jewish establishment to a position of support for both Jewish and Palestinian human rights in Israel-Palestine. And, in the experience of this Jewish student, these are also the young Jews most intellectually excited by Jewish history, philosophy, and art. We are the young people you’ll find writing Jewish plays and Jewish theses. The young Jews building the cultural future of American Jewry are the same young people you’ll find calling for the self-determination of both the Jewish and Palestinian people and an end to the Occupation. The suggestion that these Jewish activists would — or even could — support the suppression of free speech in their name is a noxious absurdity. That is not to say that we agree on everything. 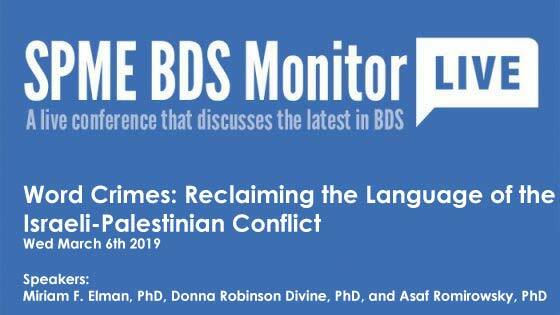 Among these Jewish activists BDS is fiercely, Jewishly, debated; but, as a recent Stanford study shows, we are mostly united in our rejection of the claim that BDS menaces us as students. And we do not respect efforts by misguided helicopter parents to prevent our debates. As young Jewish activists, we, unlike Kenneth Marcus, recognize that our problems were not all solved in 1948, and that, to paraphrase Rabbi Tarfon in Pirkei Avot, we are not now free to desist from the task of building the Jewish future. We are Jews that recognize that the love of discourse and obstreperous debate are among the most beautiful parts of our tradition. We hope that Ken Marcus will absorb these words in his new position. Jonathan Gelernter is a senior at SUNY Binghamton, where he studies English and Judaic Studies. His work has also appeared in New Voices.